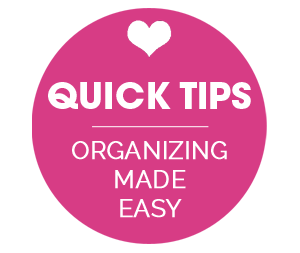 So excited to have my super smart gal pal, Chelsea from two twenty-one, back to share another one of her favorite organizing tips! 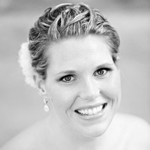 Today, she is chatting about how to give your laundry a little love! 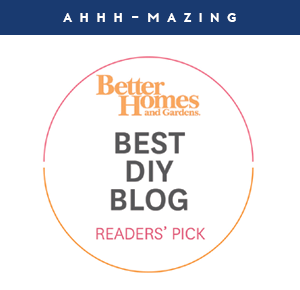 Hey, IHeart readers! 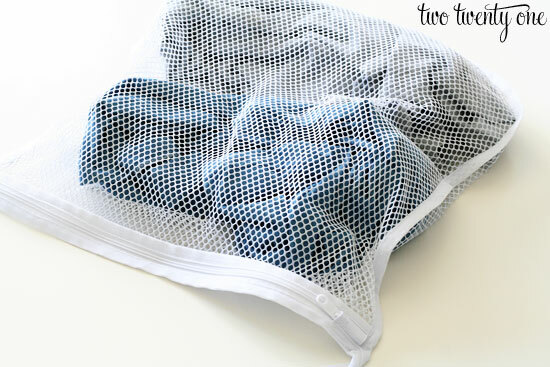 Today I'm sharing some laundry drying tips that have saved me time, money... and some tears. I don't know about you, but I've been known to shrink some pieces of clothing. I would put the clothing in the washer, get busy doing something else, and when the washer would beep I would automatically put all the clothes in the drying, forgetting about my clothes that needed to be line dried or laid flat to dry. I knew I had to do something when my favorite cardigan met its shrunken demise. May it rest in peace. 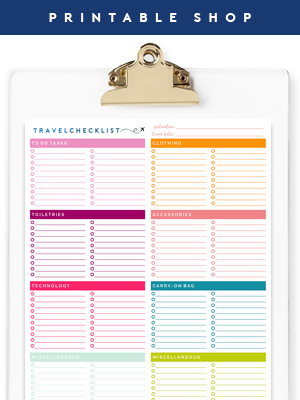 The first thing I did involved making a drying printable organizer to keep in my laundry binder. I created two sections-- line dry and lay flat. Then, I listed my clothing items in the appropriate columns. That way I'm not fumbling to find the tag every time I wash one of the items. 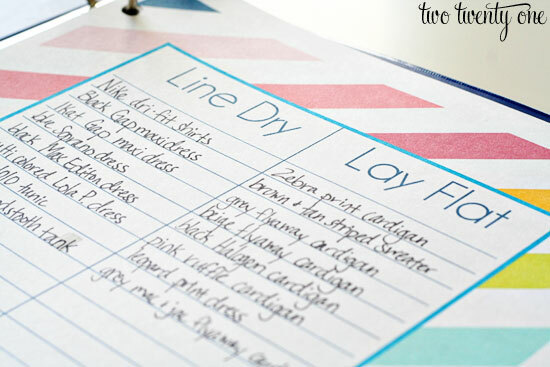 The printable has helped me organize how each piece of clothing should be dried. But I needed something else to remind me when I would wash the line dry and lay flat items so I wouldn't put these items in the dryer. Enter the lingerie bag. Whenever I wash a piece of clothing that requires special drying, I put it in a lingerie bag (less than $1 at Walmart). That way, when I take the clothes from the washer and put them in the dryer, I know the clothes in the lingerie bags need to be line dried or laid flat to dry. I have about ten lingerie bags, which are needed when I'm doing multiple loads of laundry on the same day. I hang them on a hook in our laundry room. This method keeps them organized and allows them to dry. I cannot tell you how much this system has helped me. Yeah, I had to spend a little money on the lingerie bags, but I've had a full return on my invest because I haven't shrunk a piece of clothing since implementing this system. I hope you find these tips helpful in my attempt to eliminate clothing shrinkage one cardigan at a time. 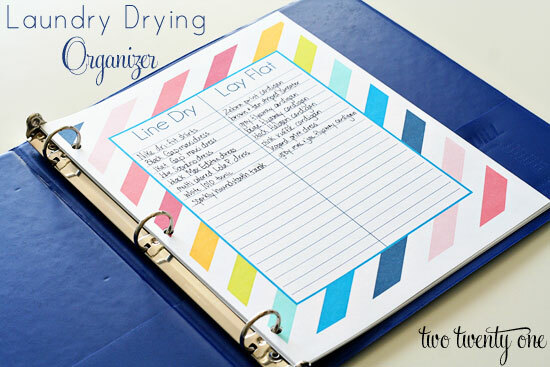 You can download the drying organizer here to help in your crusade. 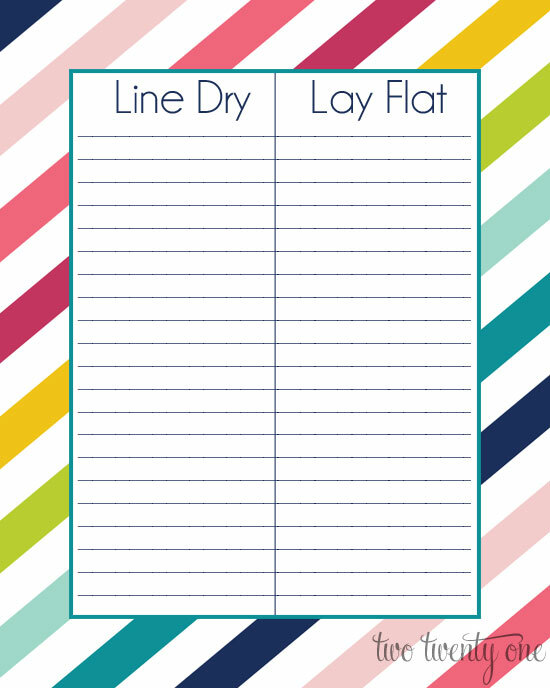 If you don't have a laundry binder and don't intend on making one, you can frame the laundry drying organizer, and write on the glass of the frame with a dry erase marker. What do you think of this system? Do you think it would help you in the prevention of clothing shrinkage? 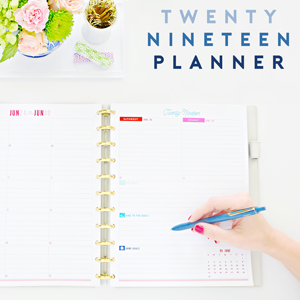 Do you have a different system for organizing your clothing that requires special drying? I line dry or lay flat a lot of my clothes. So many, in fact, that I do them in a separate load from the others. I do three loads for my clothes: wash and then put everything in the dryer, whites (everything is hung), and darks (everything is hung). It makes it so much easier than trying to pick through a load. Ooh, using the lingerie bags to separate special care clothing in the washing machine is SO smart!! I also hang dry or lay flat to dry most of my stuff as I have trouble getting sleeves and pants long enough. Too short for talls- too tall for regular! I put all my clothes in a separate hamper in the bedroom and wash it separately to avoid having it accidentally go through the dryer. I just separate out what can be dried- socks, undies- when I throw ''my load' in and put those items in the shared laundry. Works well for me. for years my mum has little notes that stick on the cupboard when not in use, and to the top of the washer when applicable- number of items not to dry, if load size or water temp has changed. the lingerie bag would work well when other people are helping with laundry. I use the lingerie bags the same way for all of my stuff I don't want in the dryer (which is a lot). I agree that it makes a huge difference. It's so easy when I'm loading the dryer to keep the bags aside. We just have one central divided hamper in my house, so I keep the bags there. When they're full, I just toss them into the proper section of the hamper. That way I don't have to worry about separating my stuff from the rest of my family's. Since I line-dry all my underwear (it lasts a lot longer if the elastic isn't exposed to heat) & the bags can hold a few pairs, I hang them over the hamper's edge till they're full. I use the lingerie bags to wash all my delicates, sweaters, etc. With two teenage girls, new clothing is monthly so I like the idea of having a glass frame to write the items that need to be hung up. I accidentally threw one of their new shirts in the dryer.....needless to say, it got donated :( Definately going to make the list to help remember!! Great idea!! This is perfect for when the hubs says, "can I switch the wash to the dryer? I need to wash a load. . . " I always have to say no bc he doesn't know what not to put in the dryer!!! Then I miss the chance for him to help out. With the bags, he will know what to keep out of dryer for me!!!! What a great idea to use those lingerie bags! I <3 using the lingere bags for my delicates, and now that I have a newborn I use them for my daughter's little socks and hand mitts. They're so handy for that! 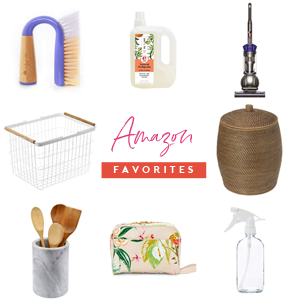 I loved this post I'm definitely going to make a laundry binder now, thank you! Awesome idea to use them for baby socks. I'm actually thinking of hanging one for each of our socks - simpler to sort. I'm serious when I say the lingerie bag system is going to CHANGE MY LAUNDRY-DOING LIFE. Not being overdramatic or anything. But, really. I already use one for tights and pantyhose and other undergarments. How have I never thought of using it for other things. You are a genius, Chelsea. Thanks for sharing. I line dry everything.. never use a dryer.. and my gym clothes and stuff goes in lingerie bags.. you can also use pillow slips to hold some things.. so sometimes I may put some tea towels in the wash but I dont want fluff so I put them in a pillow slip.. perfect.. I do the lingerie bag thing too! I have a "sweater bag" too that is just a big lingerie bag, but it does help to remember to hang those pieces. Doesn't matter right now because there are almost no dryers in Germany, but that's because the spin cycle is incredible (though the machine sounds like it's taxiing down the runway). I think I will do laundry for the first time back in the US and wonder why the clothes are so WET! I've never heard of a laundry binder before. What else is in it? Love the laundry bag idea!! Going to buy some bags today! Brillant! Great idea! Love the idea in the comments about using the lingerie bags for socks, too . . . I HATE sorting socks. The printable is so cute. Thanks, Chelsea! Wow, love the lingerie bag idea! So perfect for when my husband does all the laundry and it will take the thinking or should I say guessing out of it for him when we comes to drying the clothes! I do the same with my lingerie bags. My entire family knows that if it is in the bag it doesn't go in the dryer. Such a lifesaver especially when my munchkins "help" with the laundry! No more shrinking and my delicates are as good as new! I love the idea of using the lingerie bag to make sure clothes that shouldn't go in the dryer do not. What a great idea!